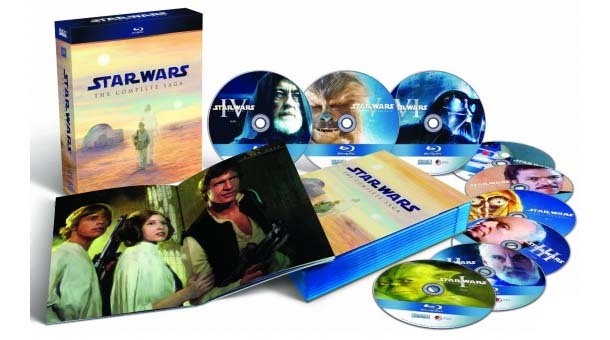 The most anticipated Blu-ray release ever – the Star Wars Saga – is set for Worldwide release this September 2011. For the first time, all six of George Lucas’ epic films (Episodes I-VI) are united in one complete set. Star Wars: The Complete Saga on Blu-ray will be available for $US139.99 US/$179.99 CAN and the Star Wars: Trilogy Sets for $US69.99 US/89.99 CAN. Pricing for each set will vary by international territory. * Prices and currency conversions correct at the time of writing & subject to change. Amazon offers a pre-order price guarantee where you receive the lowest price offered by Amazon between the time you place your order and the release date. The Star Wars Blu-ray release date announcement was made at the Panasonic Booth at this years Consumer Electronic Show (CES) in Las Vegas by none other then Darth Vader himself and Twentieth Century Fox Home Entertainment President Mike Dunn. The announcement can be watched below.